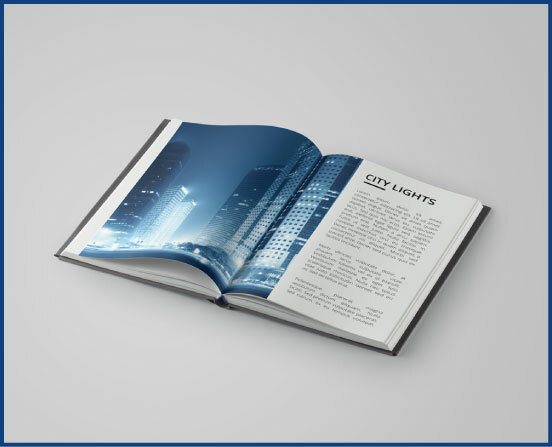 Do you want to have your book or booklet printed and bound? Either in small (self-publishing) or large quantities, our printing company is your ideal partner. Our team will guide and advise you in order to produce a clean and unique book! Our graphic studio can also help you to create a cover to perfect your future publication. We can print your books or booklets in A3 format or other custom cuts (e.g. square format) on request. The number of pages will dictate the binding chosen, according to the weight of paper, the most often used is the stapled binding, however, for thicker paper, a glued or sewn square back will be advised.